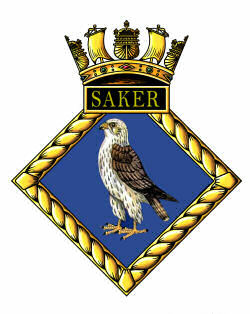 01 August 1943 'on Books Of SAKER'. Pilot training for British and Commonwealth aircrew undertaken by 738 squadron. The airfield lies 4½ miles SW. of the cities of of Auburn and Lewiston. NNE/SSW QDM. ---° ----° .... 1500 x 33 yds. WNW/ESE QDM. ---° ----° .... 1940 x 33 yds. NNW/SSE QDM. ---° ----° .... 1133 x 33 yds. Moved from USNAS Quonset Point 31.07.43.Moved to USNAS Brunswick 14.02.45. Originally a municipal airport in Androscoggin County, Maine, opened in 1935. the airfield was under the control of the United States Navy From late 1942 for use as a base for anti-submarine patrols by Squadron VS-31. on 15 April 1943 It was commissioned as Naval Auxiliary Air Facility Lewiston, a support filed for Naval Air Station Brunswick. From August 1st 1943 both Brunswick and Lewiston were loaned to the Royal Navy to train British and commonwealth aircrews. No. 738 Pilot Training Squadron arrived from USNAS Quonset Point the day before to begin operations to teach advanced carrier landing techniques to pilots who had received their preliminary flight training at various US Navy flight schools. These pilots had to learn the British methods and procedures before they could join active front-line units; training included navigation exercises, Aerodrome Dummy Deck landings, night flying, anti-submarine bombing and patrol techniques, formation flying and other skills in use by the Fleet Air Arm. On completion of the courses aircrew were assigned to new squadrons forming in the U.S.; Torpedo, Bomber and Reconnaissance squadron aircrew were trained as complete crews. The squadron operated a selection of the American aircraft types including Avenger, Corsair, Wildcat, Harvard and a single Grumman Gosse. 738 moved to USNAS Brunswick on February 14th 1945 and Lewiston was returned tot USN custody. One USN Squadron - Torpedo Squadron 153 (VT-153) was established at NAAF Lewiston on March 26th 1945, transferring to Naval Air Station Oceana, Virginia, on June 1st 1945. NAAF Lewiston was redesignated a Naval Auxiliary Air Station in August 1945, but was closed on December 1st 1945. The site was declared surplus in 1946. It was handed back to the cities of Auburn and Lewiston in 1947/8 returning to civilian use.